Home / 2016 / November / 1 / Sugar Skulls, Tamales And More: Why Is That Food On The Day Of The Dead Altar? 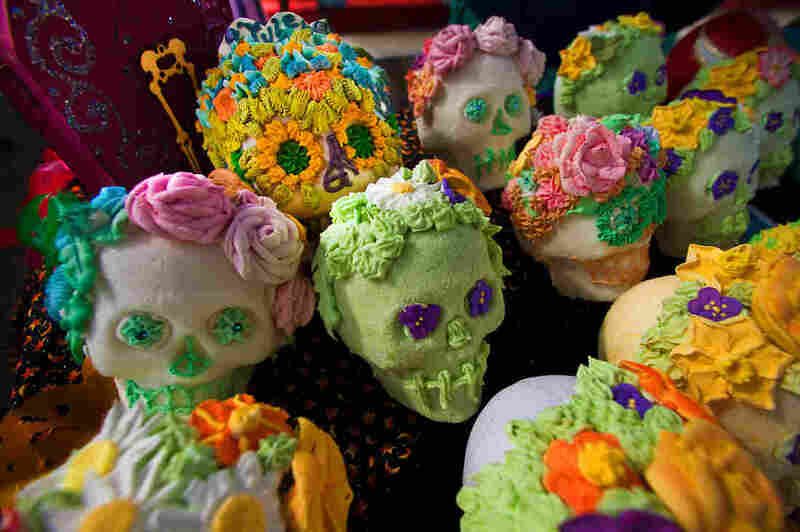 Sugar Skulls, Tamales And More: Why Is That Food On The Day Of The Dead Altar? In Mexico, celebrations for el Dio de los Muertos, or Day of the Dead, are already in full swing. 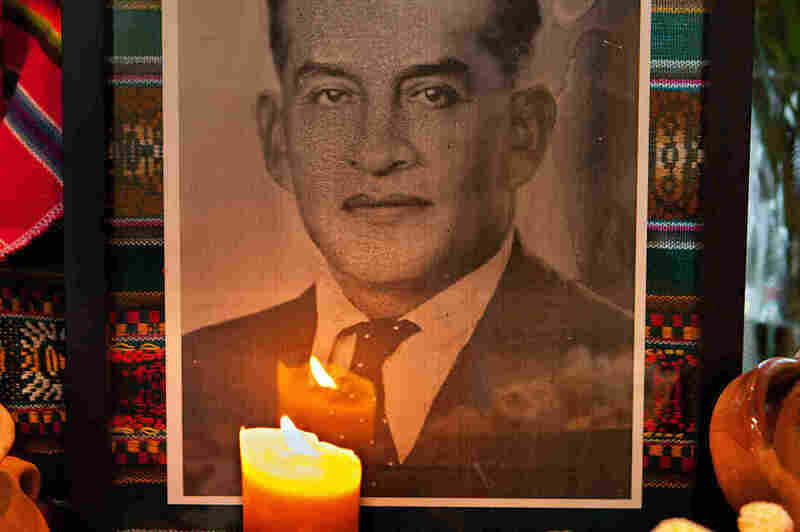 The holiday, observed on Nov. 1 and 2, honors deceased ancestors. 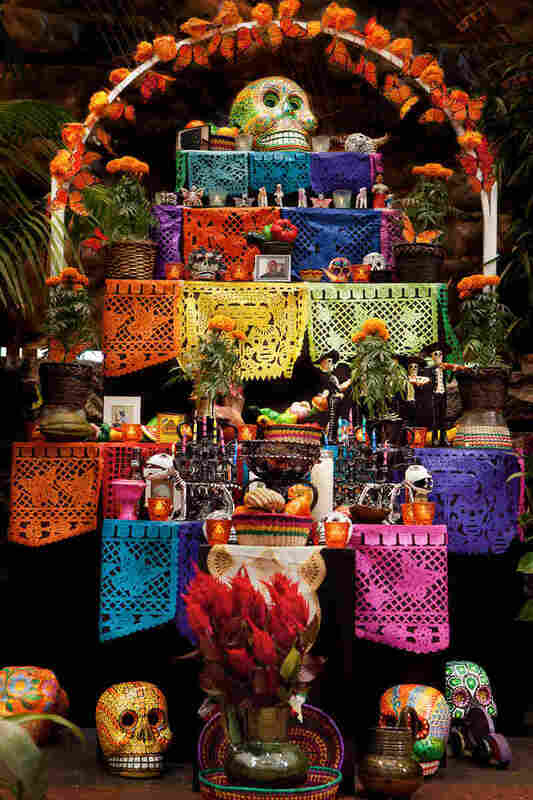 And food and drink are a big part of the festivities — they are ofrendas, or offerings, put on altars to entice deceased loved ones to come back for a visit. Among the most popular food offerings are tamales — delicious little packages of masa, or dough made from corn flour, wrapped in aromatic leaves, usually corn husks or banana leaves, and steam cooked. There are hundreds and hundreds of types of tamales, which can come with sweet or savory fillings, meat, pork or cheese. To help us celebrate, we asked Mexican chef Pati Jinich to show us how to cook her favorite kind: chicken tamales in green salsa. The full recipe is here. Watch our NPR Live video above to see Jinich’s full cooking techniques. And read our story below to learn more about the food and drink of the Day of the Dead. A version of this story was originally published on Nov. 1, 2012. Sugar skulls, tamales and spirits (the alcoholic kind) — these are things you might find on ofrendas, or altars, built this time of year to entice those who’ve passed to the other side back for a visit. These altars in homes and around tombstones are for Day of the Dead, or Dia de los Muertos, a tradition on Nov. 1 and 2originating in central Mexico. The Aztecs developed the ritual some 3,000 years ago because they believed one should not grieve the loss of a beloved ancestor who passed. Instead, the Aztecs celebrated their lives and welcomed the return of their spirits to the land of the living once a year. That’s where the food, drink and music offerings come in. Hayes Lavis, cultural arts curator for the Smithsonian’s National Museum of the American Indian, says that mourning was not allowed because it was believed the tears would make the spirit’s path treacherous and slippery. “This day is a joyous occasion; it’s a time to gather with everyone in your family, those alive and those dead,” he says. During the Spanish conquest, Catholic leaders exerted their influence on the tradition, and the resulting mash-up created the Day of the Dead celebration as we now know it. Sugar skulls: Elaborately decorated skulls are crafted from pure sugar and given to friends as gifts. The colorful designs represent the vitality of life and individual personality. Food: The ancestor’s favorite meals are placed on the altar as offerings. Here, tamale is being served. 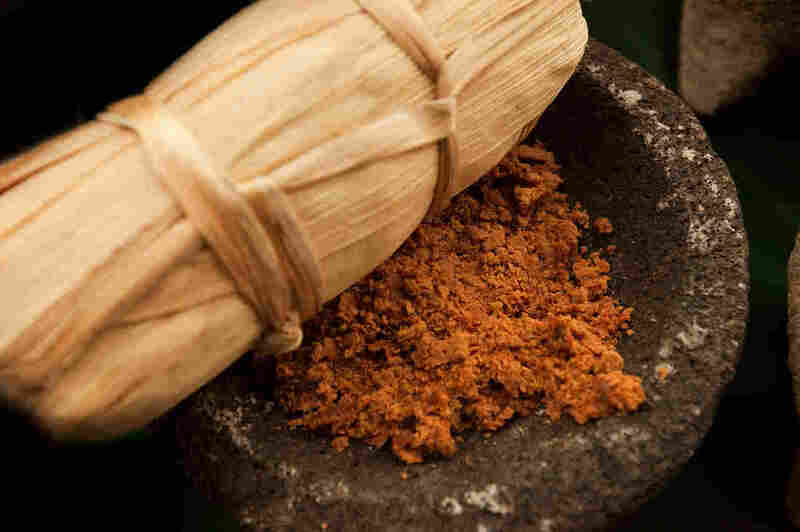 Tamales are made from corn-based dough, wrapped in cornhusk, then steamed. They are filled with a variety of ingredients like shredded chicken in a green spicy sauce or sweetened with pineapple-cinnamon jellies. 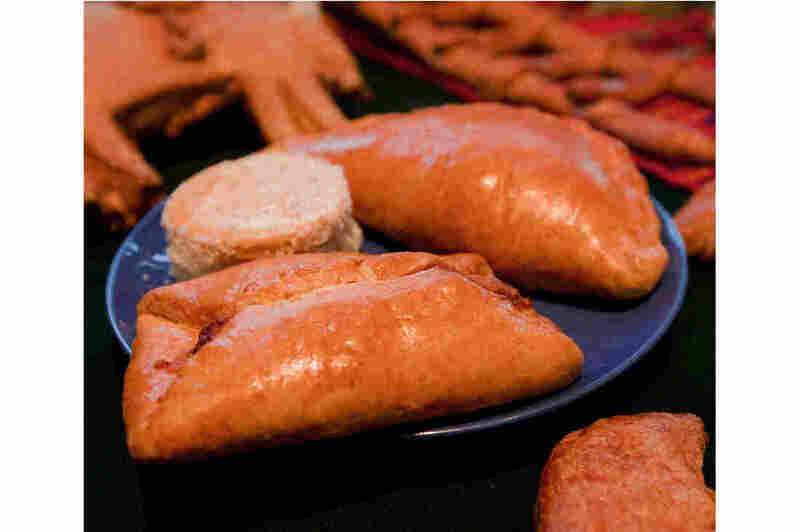 Pan de Muertos: Semisweet breads are baked in the shape of bones, and dusted with sugar. They’re also meant to represent the soil. 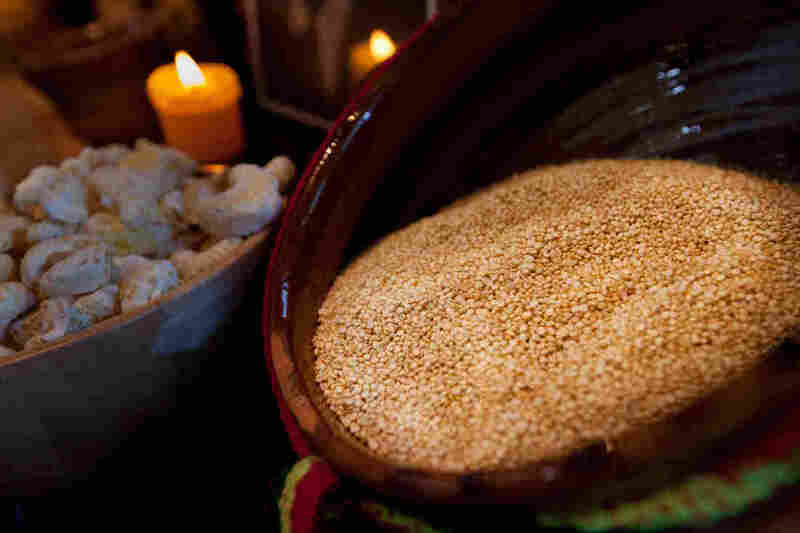 Seeds: Pumpkin seeds or amaranth seeds are offered as snacks for the visiting ancestral spirit. In pre-Columbian times, Aztecs used amaranth seeds instead of sugar to make the skulls. 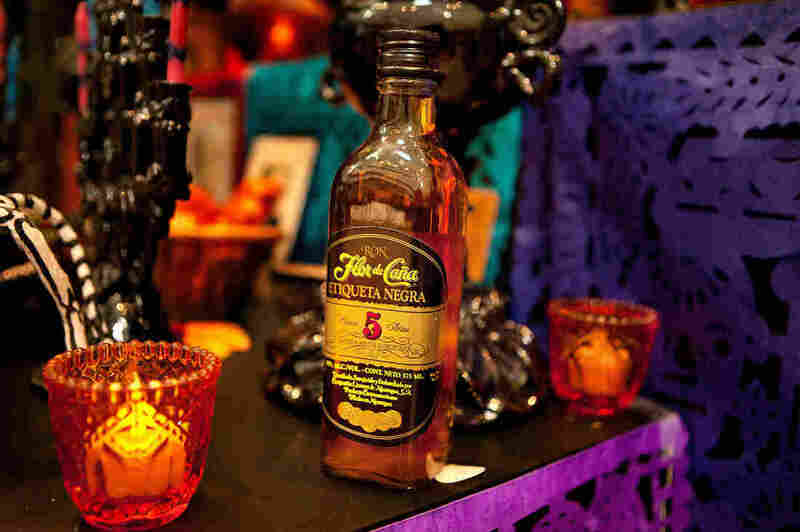 Alcohol: Bottles are offered to toast the arrival of the ancestors. In pre-Columbian times, pulque, a beverage made from sap of maguey or agave plant was reserved for special spiritual ceremonies. Today, any alcoholic beverage favored by the dead can be used to toast. Monarch butterfly: These butterflies, which migrate to Mexico each fall, were believed to be the spirits of the ancestors coming to visit. Photographs: Images of loved ones who have died are placed on the altar. This photograph shows Teodomiro Nrquiola. His great-grand son, Luis Alipaz, placed it on an altar at the Smithsonian’s National Museum of the American Indian. 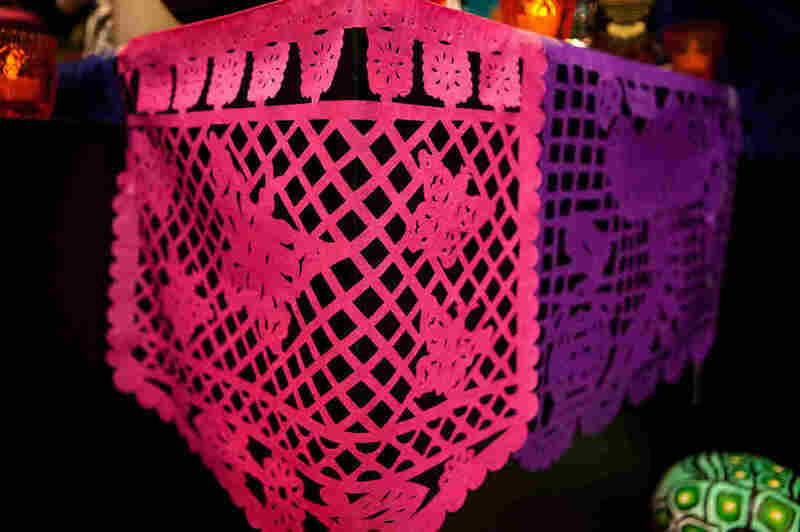 Papel picado: Delicately decorated tissue paper represents wind and the fragility of life. 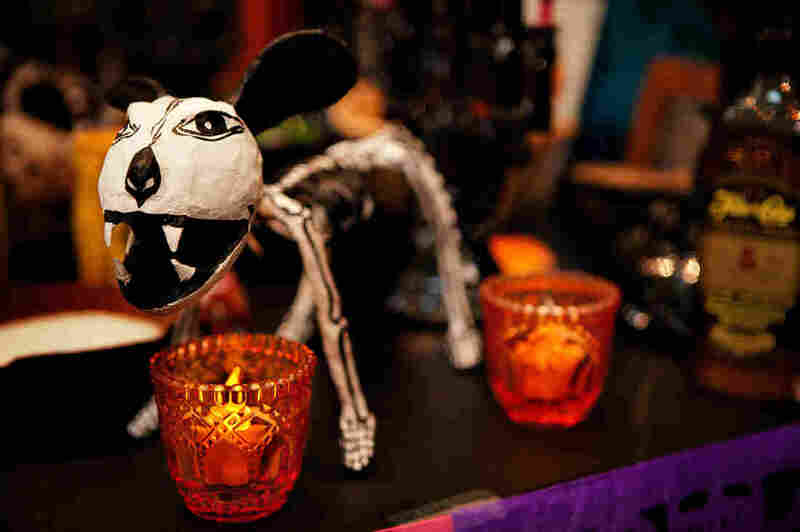 Dogs and Candles: Dogs were believed to guide the ancestral spirits to their final resting place in the afterlife. Candles represent fire and are a light guiding them back to visit the land of the living. To learn more, check out this interactive website the Smithsonian folks put together.